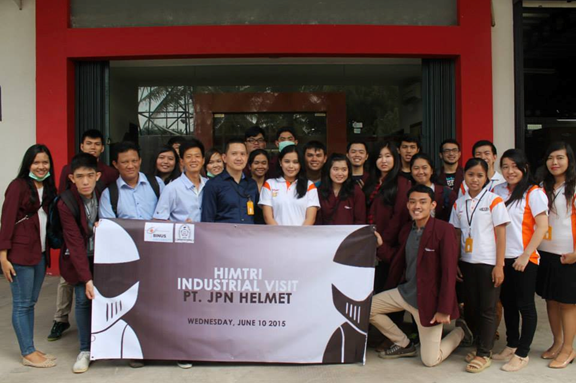 Industrial Visit was one of the events organized by HIMTRI with focus on improving industrial engineering insight and experience of the students. 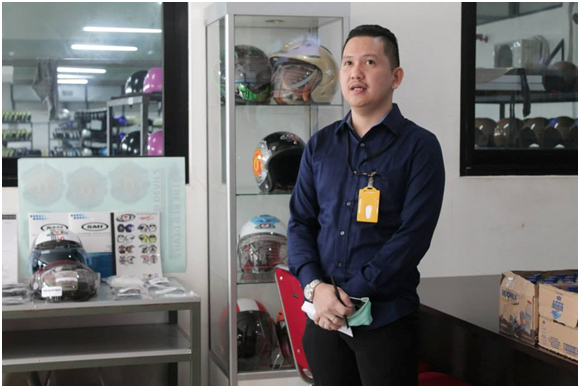 This industrial visit held on Wednesday, 10th June 2015 at JPN Helmet. We set out from 07:00-12:00 with a bus BINUS and for lunch we provide a kebab monster. We were invited to tour the factory to we can know and learn the process of making helmets, coloring on the helmet, the helmet image printing process, the process of making materials helmet, the process of unification of materials on the helmet, and the process of packing and distributing helmets, we can know and learn how to test the durability and feasibility tests on a helmet, so the helmet is passed in the SNI test and decent to wear and how the packing process so that the helmet can be directly distributed to the market, we can see, know, and learn the process of making existing stickers or drawings on the helmet, and we can learn how to stick or unification process images on a helmet, we can know the materials are to be used on the helmet and we also can find out how the process of unification of these materials forming into a decent helmet worn. Our journey from BINUS University to the factory JPN Helmet while enjoying food committee provide that kebab monster. 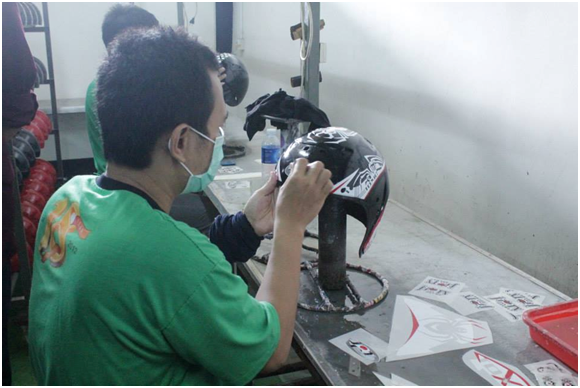 Before we see the process of making our helmets directed and given information regarding the rules at the time of the tour at the factory by the manager JPN Helmet. 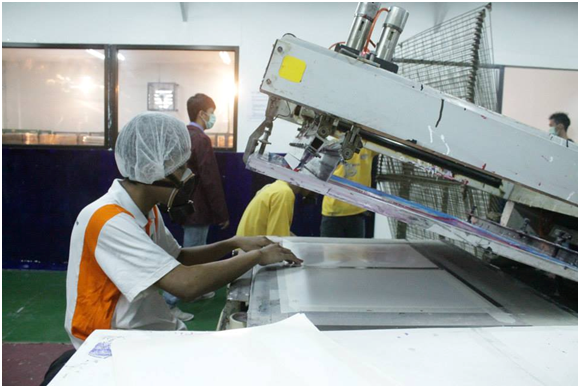 This is one process of making helmets they do attaches a sticker and print images with using printing equipment such as a photocopier. After our visit, at the end of the visit of our industry, our group photo along with managers and staffs who are in JPN Helmet.